You may still have New Year’s champagne leftover or if you’re like us, you keep typing 2018 instead of 2019. None-the-less, it’s time to start thinking about an important 2019 OSHA recordkeeping deadline. 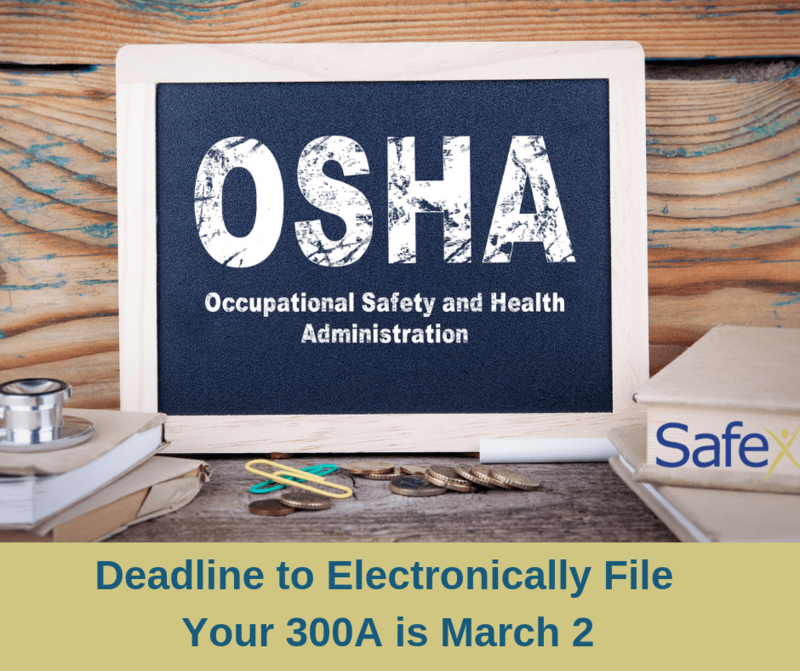 The OSHA 300A (a summary of the injuries and illnesses recorded from the previous year) must be posted by Feb. 1 and the information from the 300A entered on the OSHA website by March 2. Also, if requested, copies of the records must be provided to current and former employees, or their representatives. You’ll need to submit it electronically through OSHA’s secure website. If you need assistance, Safex can help. Give us a call today.